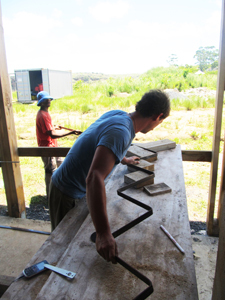 The new year started right with a small project at the wild coast in the eastern cape province. 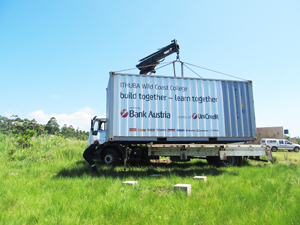 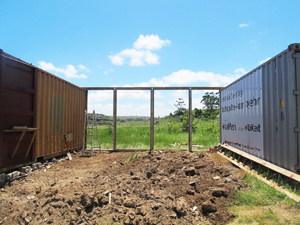 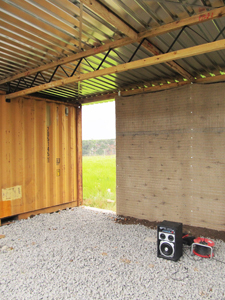 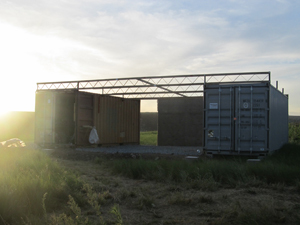 The donated container finally arrived and construction on the temporary workshop unit started. 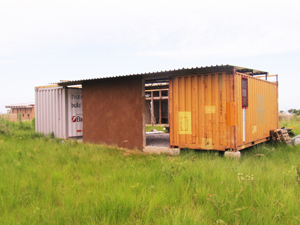 Climate conditions differ much from Johannesburg but buildCollective approach stays the same. 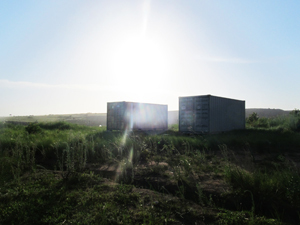 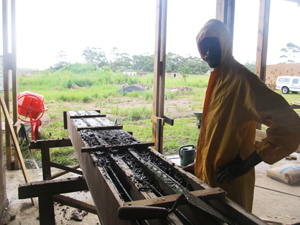 As the hot and humid climate at the exposed site does not necessarily suit the light-clay and less insulation capacity but rather cooling qualities are needed we looked at some buildings in the area. 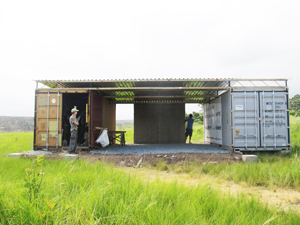 To stay green, easy and fast to build and provide protective cooling qualities we adopted the traditional construction of woven branches filled with earth. 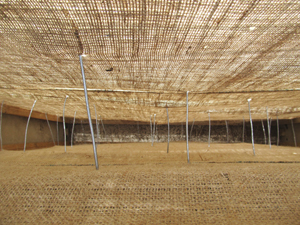 Three 200 by 70 Pillars were casted, hessian (jute) and welding mesh were tightened around them, connected with wire and filled up with earth. 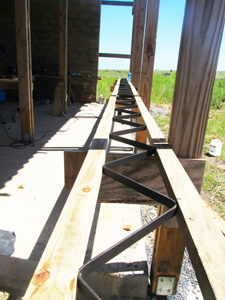 A new self-produced truss was created – timber with bended flatsteel , much lighter and easy to join and rejoin. 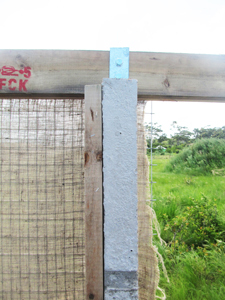 A small team of three people of the neighbourhood joint the experimental workshop construction and were excited by the strength of the wall. 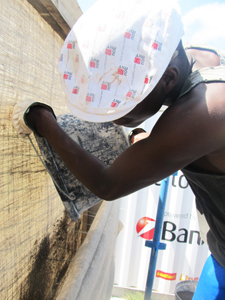 After filling the wall got an ordinary plaster job by the local team.